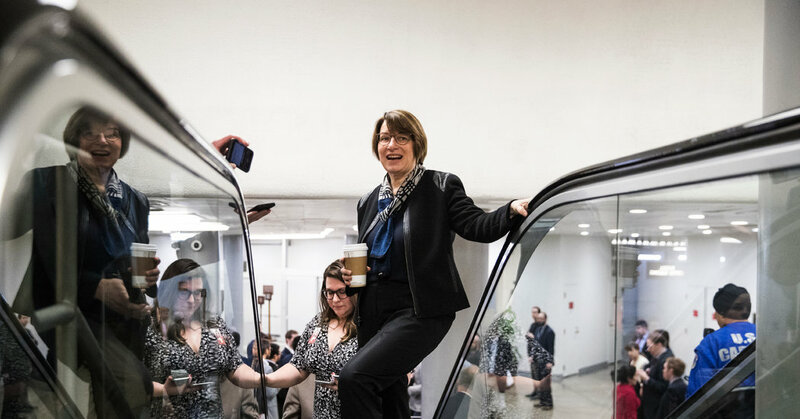 MINNEAPOLIS — Amy Klobuchar, the third-term Minnesota senator, is expected to enter the race for the Democratic presidential nomination on Sunday, hopeful that her moderate politics, Midwestern roots and carefully cultivated history of bipartisanship can appeal to a broad swath of voters in contentious times. Ms. Klobuchar, 58, would be the fifth woman currently serving in Congress to announce her candidacy, joining a crowded and diverse field of Democratic presidential hopefuls. With most of the top-tier candidates hailing from coastal states, Ms. Klobuchar believes her low-key brand of “Minnesota nice” politics could make her a compelling candidate, particularly to the Iowa voters who cast the first primary votes and in states like Wisconsin, Michigan and Pennsylvania that swung the 2016 election to President Trump.